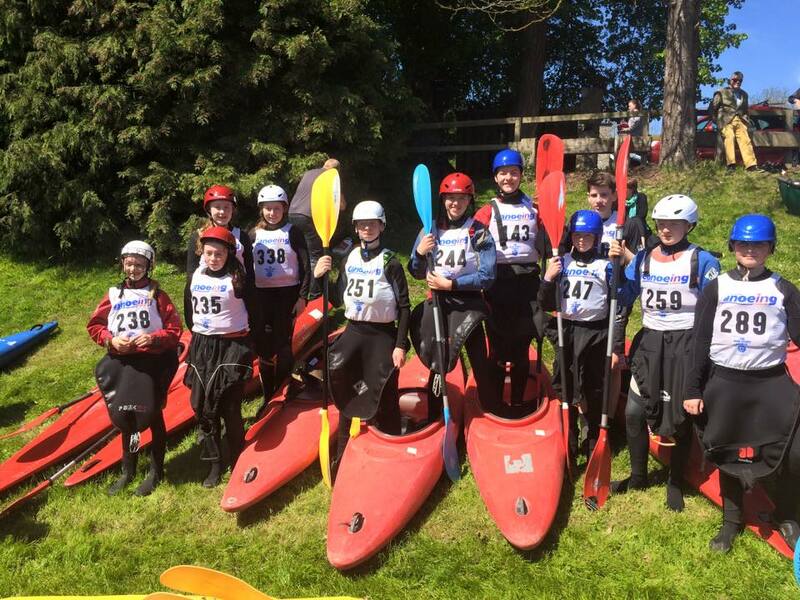 On the home front the Junior Liffey last Saturday had all the right ingredients, Sunshine, good water and lot of thrills and spills it was a great success with 130 junior paddlers taking on the might of the Liffey , for many this was their first Junior Liffey. A big thank you to all the Rescue Crews on the weirs without whom the race would not happen. On the International front our Parcanoeist Pat O Leary placed 4th at the world cup sprint regatta in Duisburg Germany. Oisín Ó Fearghaíl from Kilcullen canoe club placed 2nd in Div. 1 Slalom in Nottingham. Watch out for Hannah Craig who is racing this weekend in the slalom European Championships in Germany. Live Results here. 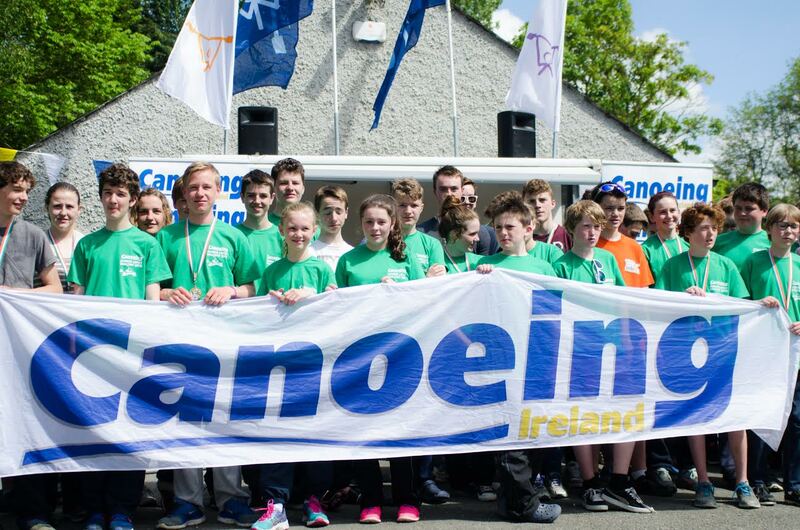 Canoeing Ireland is happy to announce seven new Level 5 Skills Trainees and eight new Level 5 Skills Paddlers following a very busy week of training and assessments in Italy in May 2015. With a dreadful forecast predicting 180mm of rain over 4 days it was looking like the courses and assessments would have to leave Italy and move to France or Switzerland, but for once the river Gods were on our side and forecast dramatically improved giving a very Irish Climate in Italy of showers and sunny spells with ideal water levels. 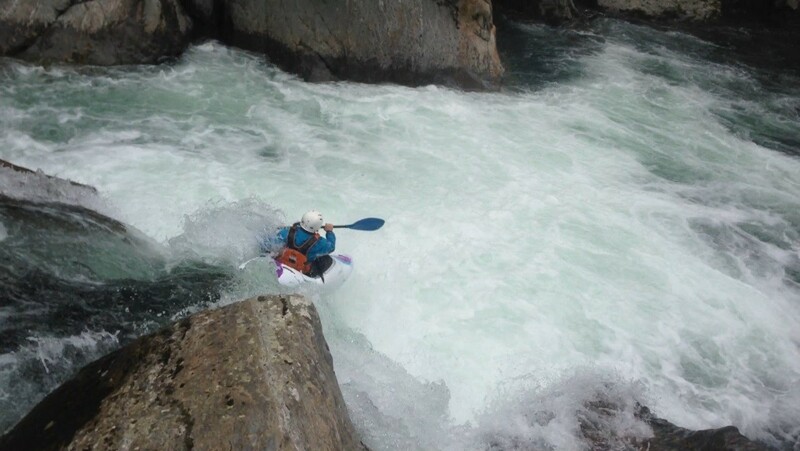 Congratulations to Mateja Trpin, Dervla McAuley, Kevin Foynes, Leo Riedmuller, Patrick Finn, Barry Loughnane and David Higgins who all completed their Level 5 Skills Training in ideal water conditions on the emerald green waters of the Sermenza and the crystal blue waters of the Egua river in Val Sesia. Congratulations to Dave Holden, Dave Horkan, Derek Murphy, Simon Cadec, Laura Griffin, Susan Doyle, Frank Carr and Ultan O’Kane who all successfully passed their Level 5 Skills Assesments on the challenging waters of the Middle Sermenza, Lower Sermenza and the challenging Sesia Gorge. We look forward to seeing many of the trainees moving forward to complete the Level 4 Instructor Training Course and the 8 successful assessees applying for Level 4 Instructor Assessment in the coming months. Please find the Junior Liffey Descent results below. Congratulations to all participants. Bookings are now open for the 3rd Nature and Sports Euro’meet 2015 which will take place in Newcastle, County Down, September 30th-October 2nd. A massive THANK YOU to all the helpers and rescuers that made the Junior Liffey Descent such a great success on Saturday 23rd May 2015. With so many great events happening at the moment from so many clubs and a huge variety of disciplines, we would like to issue a big thank you to all the coaches and volunteers and especially the participants who are out helping and participating every weekend, good time had by all! We had the Canoe Polo “Under 21 development team” selections in Kilcock, Co. Kildare while the Slalom Development Squad were training on the Lucan sluice, Lucan, Co. Dublin. It was great to see our Junior and U23 Squad coach, Olympian Eoin Rheinish out working with the squad on sluice. 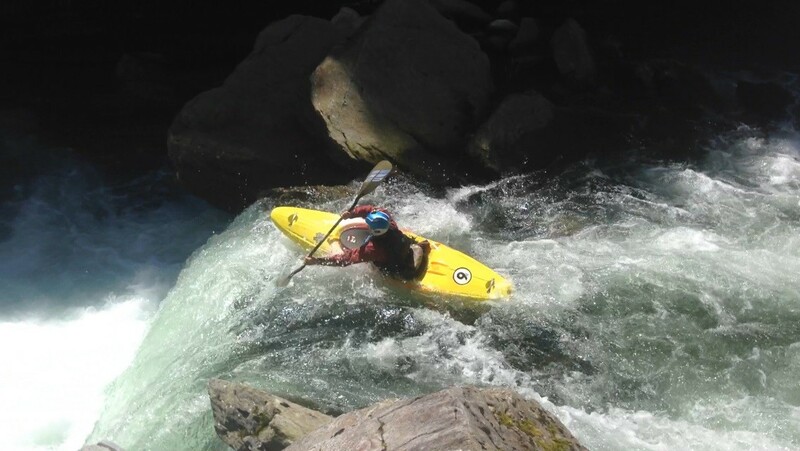 Benny Cullen, our Development Officer is away in Italy this week running Level 5 kayak skills training courses and level 5 kayak skills assessments, by all accounts water levels are good( so much so “his phone got water logged” or so he tells us). The Junior Liffey Descent 2015 kayak race is on this saturday, this 11.5Km race consists of 4 weirs and 1 portage. It starts at Salmon Leap Canoe Club, Leixlip, Co. Kildare and finishes at the Canoeing Ireland training centre in Strawberry beds, Chapalizod, Dublin. Come one, come all, this is a flagship event for Junior kayakers and a great spectacle from start to finish. Why not drop along to show your support for all of the juniors racing from around the country. If you’re free on the day and can give a hand, rescue, Marshal, do boat check, etc, please contact the office: info@canoe.ie and let us know. We would ask all drivers along the route to be careful as there will be a lot of pedestrians, especially around Lucan sluice, Lucan, Wrens nest and around the training centre. Please car pool where possible. We would ask that you also respect other road users especially with parking in and around the Training Centre, Strawberry beds, Chapelizod, Dublin. Pat O Leary has made the final of the Paracanoe World cup race in Duisburg Germany, Also at this event is Jenny Egan back racing after her Bronze Medal at the European Champs a few weeks back. Rafting.ie​ are organising an open event to raise much needed funds in support of the Concern Nepal Earthquake Appeal. The event consists of a paddle down the River Liffey as a collective community followed later by an Open-Air screening of DamNation​ with support from our friends in Patagonia​ on site at our base at the Canoe Centre​, Palmerstown. We are requesting a minimum donation of €10 to participate in both the paddle and attend the screening afterwards. HOW MUCH I hear you say? Not much we know but if you can afford more we will welcome all donations. What, where, when, why, how, who???? From St.Catherines Park (Sluice​) in Lucan to our raft base at the Canoe Centre in Palmerstown. Unless you’ve been underwater for the past few weeks you’ll have heard about the devastation caused by the earthquakes in Nepal. They need our help. All donations raised will be sent to Concern Worldwide​ to aid there efforts. Paddlers can run their own shuttle from the Canoe Centre in Palmerstown up to the car park at Sluice​. Please allow sufficient time to shuttle from Palmerstown to Lucan to be ready to launch at 5! There are changing facilities available on-site at the Canoe Centre. Anyone that can hold a paddle. All manner of crafts & paddlers are welcome, Canoe, Kayak, Raft, Sit-On-Top, SUP Board, River Tube….you name it no exclusions! The Spanish Canoe Federation has invited Canoe Marathon Ireland to send a team to theCastilla y León Gran Prix 2015, National Teams Cup k4 event held at Valladolid and Sanabria, 17th, 18th, 19th July. Accommodation will be provided with transfers between Valladolid and Sanabria and to the airport. A k4 will be provided and all maintenance costs covered. The marathon committee are looking to select a team for this event and would ask that all interested parties please email irishmarathoncanoeing@yahoo.com by June 4th at which point all entries will be considered for selection. Entries are limited to division 1 and 2 paddlers only. Junior Liffey Descent entry deadline is this Friday 15th May 2015. Get your entries in to avoid disappointment. Late Entry now applies €25 per person.